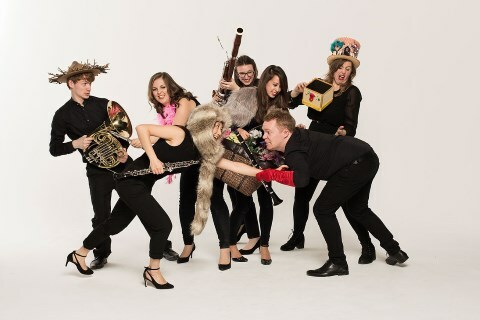 We are the MAGNARD ENSEMBLE, a group of musicians and friends who come together to make, perform and share wonderful music with our audiences. At our core, we are a wind quintet, and our work varies from formal recital and concert appearances to education and community work with children of all ages, and everything in between! We have a large-scale project entitled Revolting Rhymes and Marvellous Music, based on the work of Roald Dahl, in development for the 2016/17 season. For more specific information regarding this project, please click here. We hope that you enjoy exploring our website, galleries and blog, so you can discover what we do, why and how we do it. We look forward to seeing you at one of our events very soon!